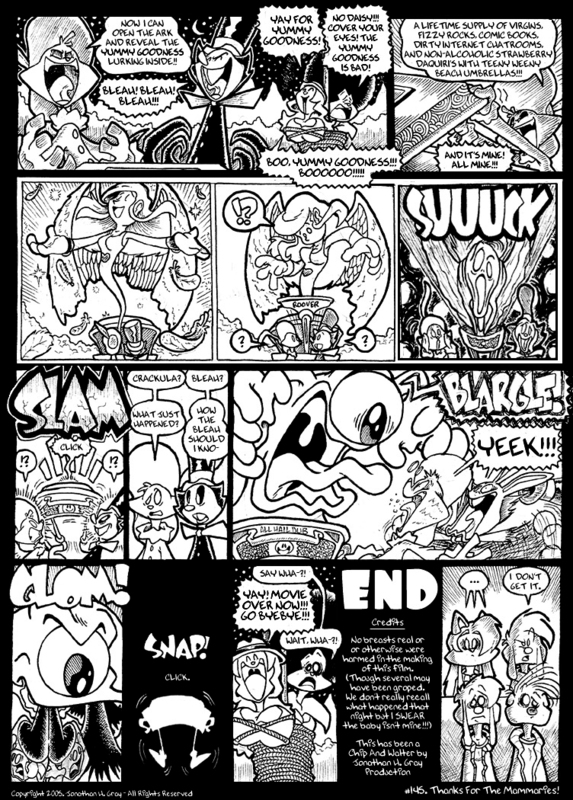 So, as a lot of you might remember, Dub's comics "Chip & Walter" and "Time Trouble" were actually rather popular webcomics way back in the day, and had a relatively lengthy run for webcomics at the time. and other creepy stuff like that. and all the things that happened in them during their original run. I'm going to make one last ditch effort to keep this thread alive by asking a quick question about the Chip and Walter and Time Trouble comics thats been bugging me for a while (just in case there are some people other than me who actually read a little of the original series). As I only started reading the comics just before they were taken down, I never did get to fully complete either of Jon's comics. So I was wondering, exactly how many pages was Dub able to crack out before the comics stopped updating altogether? :? Took a couple hours of digging, but there were at least 300 strips between TT and C&W. I find nothing beyond C&W #150, which apparently ran from 2001-2006. 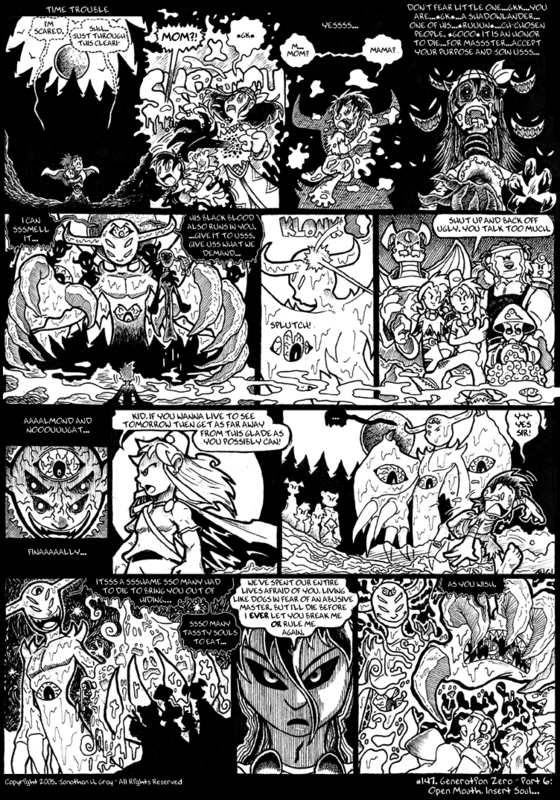 TT seems to have had 150 strips as well and also ran from 2001-2006. All I've been able to find so far. 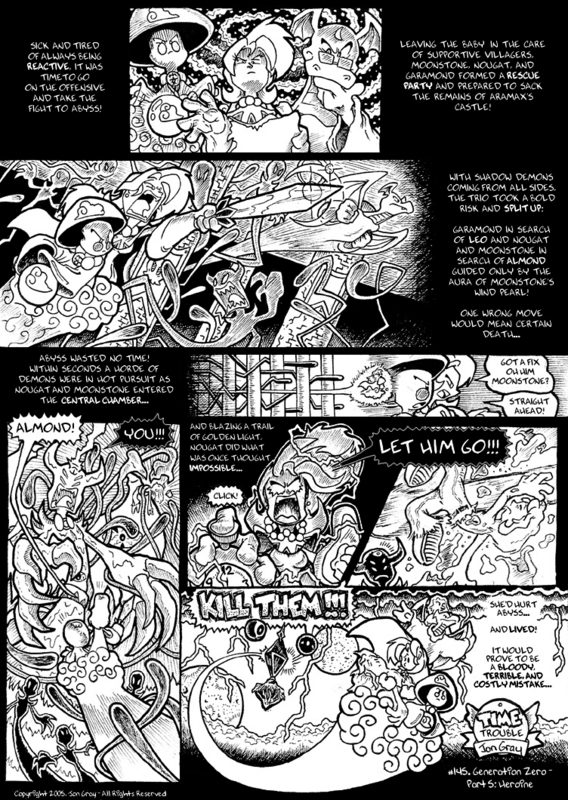 theJcfreak wrote: Took a couple hours of digging, but there were at least 300 strips between TT and C&W. I find nothing beyond C&W #150, which apparently ran from 2001-2006. 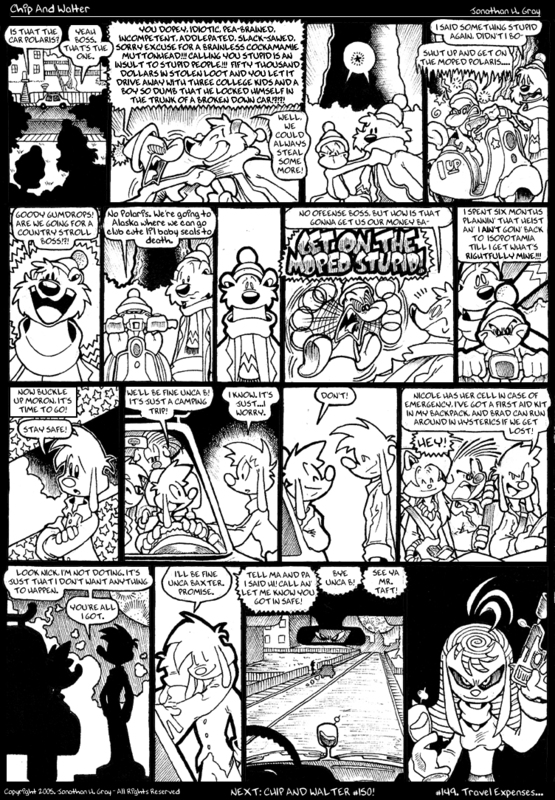 TT seems to have had 150 strips as well and also ran from 2001-2006. All I've been able to find so far. Wow, where did you do your digging? :shock: I've been looking all over for that information and couldn't find it. Makes me sad as I was only able to read up to about (or just before) Page 100 in the C&W Series, meaning I missed over 200 strips between the two. I was looking through archived pages. Unfortunately none of the actual comic pages were archived save for the last strip of each. I did manage to snag some of Dub's old Sonic redesigns though since most of those were still intact. He had a ton of old fanart too, but unfortunately most of that wasn't archived. theJcfreak wrote: I was looking through archived pages. Unfortunately none of the actual comic pages were archived save for the last strip of each. I did manage to snag some of Dub's old Sonic redesigns though since most of those were still intact. He had a ton of old fanart too, but unfortunately most of that wasn't archived. 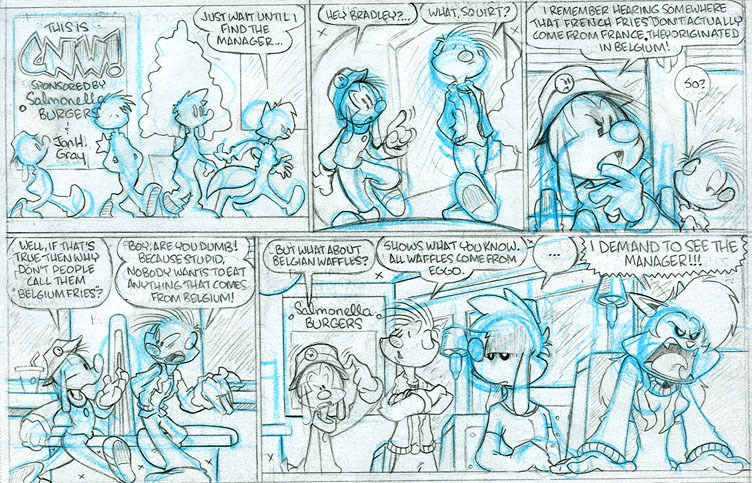 The way I want to handle it is that Chip and Walter will relatively follow the same pace that it did before with the story being altered/fleshed out a little more in key areas. When I get to the "Wetbread's Observatory" portion of the story is where it will change considerably. Time Trouble will also tell the same story as before, but be approached in a vastly different and expanded manner to flesh out the many characters that really needed it and also to expand on the 3 core generations of the main cast. Almond and Nougat via Gen 0 are the interludes that tie things together as the main story switches between Gen 1 (The Timekeeper, the Wizard and King Doberman) and the cast that got the the most focus previously - Kirk, Luis, Lienne, Lucky, Sarah, Kat and Sterling representing Gen 2. That way I'm not rushing it like I was last time and everyone I want to get focus gets it. I'm actually a lot happier with the plot map that I have saved for myself this time around (unlike my previous attempt). You'll see how it goes once I get things up and ready to go. 300+ in total, 150+ each. I didnt upload the ones that I'd completed past that, but the updates for both comics were in tandem with each other which is exactly how I burned myself out pretty quick. I won't be making that mistake again. Trust me, you won't miss them when you see the new/redone material. I'm really proud of the new stuff I'm creating to replace it and this time I'm not rushing it out just to make the dates. 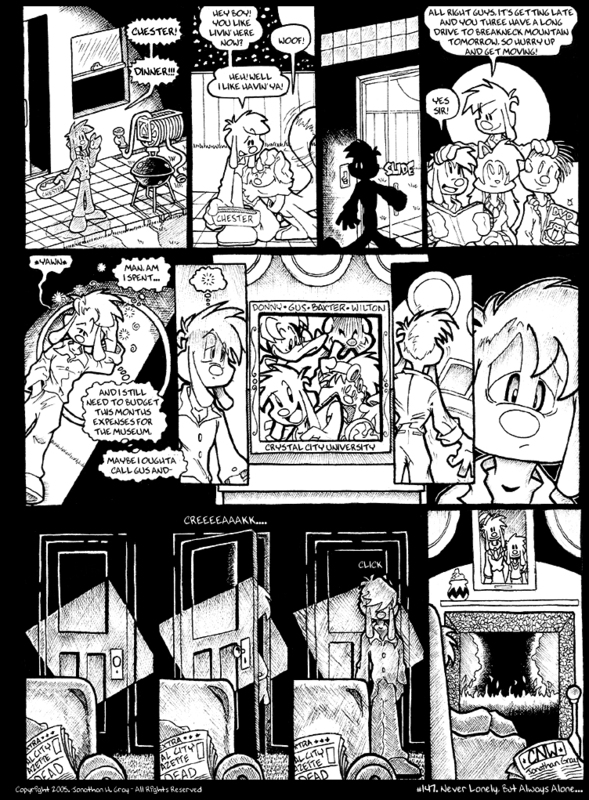 Perhaps in the notes I'll put up a few of the old pages to the new ones for comparisons sake, but that's about it. I'm gonna do this kaboodle right. Actually I'm hoping you'll be showing off some of the comics at any cons you go to this year. Have you got any plans for that? Any previews or anything? Best of luck though and I'll at least watch this space for news and info on the upcoming comics. Jon, I'm so sorry to hear about your father passing away. I do remember reading some of your old blog posts, such as the one where you discovered you were an uncle. Does anybody call you Unca Scrooge? I don't think I could resist the temptation. I never commented on the blog because 1. I didn't have a deadjournal account, 2. I didn't know you as well as some of the older Mobius Forum members did & thus didn't feel I had the right the Paparazzi Blitz you w/ questions & comments then. accidentally shooting his parents during an argument. The hysterical, weeping adolescent & the police officer's horrified but sympathetic facial expressions really make that scene powerful. 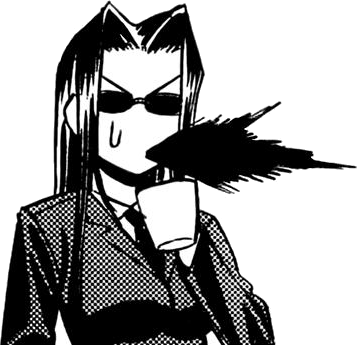 I still point it out when I hear the "Dub only draws comedy, can't handle serious business" complaints. I also liked anything w/ Bradley. He was humorous, & often a brat but there was one moment where he sincerely comforted a distraught Nick, towards the end of the series' run if IIRC. I'm sure he would rather have been comforting Nicole though. Details, details. I also don't think the fanart was terrible. Maybe LaraLe's flower child design counts as awful but that was more of a wardrobe malfunction. 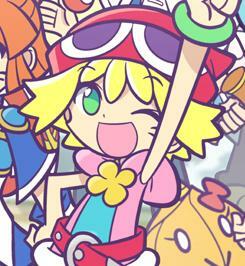 (Let's just be thankful LienDa never had one of those. At least one of her leather catsuits came w/ zippers so crisis averted?) I remember the Team Artail pics, particularly the Ant & Bunnie logo where she hangs a 'Do Not Disturb' sign & grins. Of course there was the LNR scenes but thankfully I've had enough brain bleach & Drano cookies to forget MOST of that trauma. Maybe I replaced them w/ memories of the 3B fan-comic as well as the scenes you did for that one Dan Drazen story (the one that opened w/ Tails playing hockey. 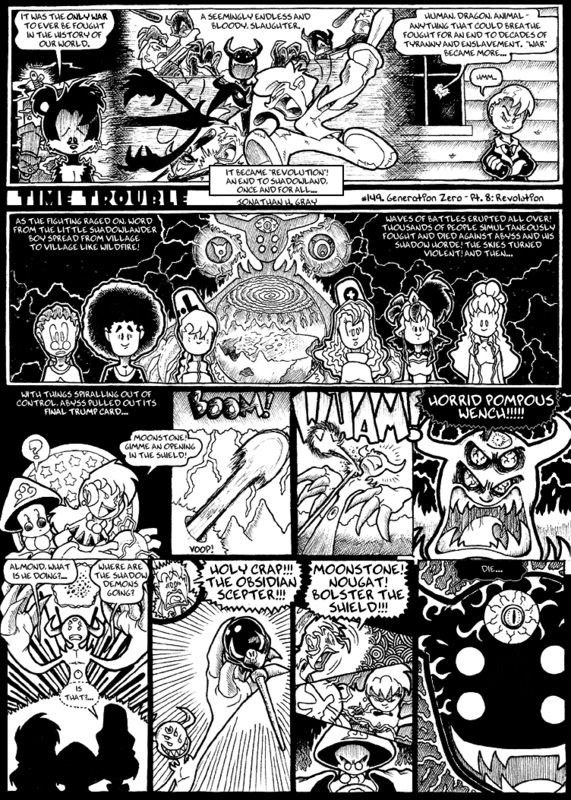 A major plot point was how Knothole Village was 3 hrs ahead of the rest of planet Mobius, a random concept intro'd in an old Archie Sonic issue, barely referenced in-series, & then dropped w/ little or no fanfare. Drazen used it to prevent a chara death & make Tails more of a hero & not just a little kid sidekick. It was a bit like the Time Turner scene in Harry Potter, despite being written a few years earlier.) I don't remember if that comic was ever finished or if the site only had preview pages, but I'm like 99% convinced you were the penciler. If I remembered that wrong, I apologize for de-railing the thread. Keep on being awesome & when you get the chance if you can show us any previews of the Chip & Walter revisions I'd appreciate that, but no pressure. 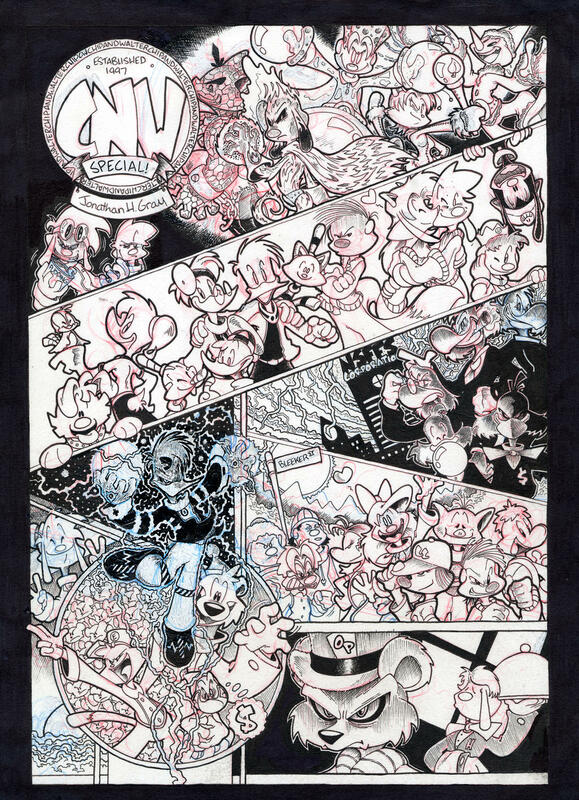 For those of you who didn't know: Dub apparently caved in recently and posted a bunch of pages from his original runs with Chip and Walter and Time Trouble On his deviantART page! Thank you so much for posting those few pages up Dub! They were a great joy and inspiration to see! Abyss: Fffffffuzzy inside you saaaayyy? Shall we look and sssseeeee??? ...I see now why you like Dubs, Mobie... I really do. Now if you'll excuse me... I need to go and find my brain... Or what's left of it anyway. CaleTheCat wrote: Now if you'll excuse me... I need to go and find my brain... Or what's left of it anyway.